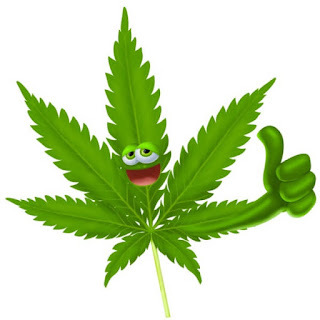 Marijuana is a gray or green mix of dried and shredded flowers plus leaves of the bang plant Cannabis sativa. Actually, there are more than 200 slang terms for it. Street names are pot, herb, weed, boom, ganja, hash, grass, widow, Mary Jane, cannabis, northern lights, bubble gum, fruity juice, afghani #1, skunk, gangster, and chronic. Among the other facts about marijuana is the info that it's a mind-altering drug that ranks as the famous illegal drug that is used in the United States of America. It is a mixture of dried leaves, stems and flowers from the bang plant Cannabis sativa. The major active ingredient in the drug is THC. The drug can vary in color from brown to green. The most common means to take it is smoking. Users roll it into a cigarette "joint," then put into an empty cigar casing "blunts" and then smoke in pipes or water-pipe "bongs." Also, it can be used into food and eaten and mixed in tea. It's the most typical illegal drug that used in the country. At least 1/3 of American people have used the drug in their lives. Actually, People smoke this drug because it raises their mood and unwinds them. Depending upon the level of THC, marijuana users may experience paranoia, hallucinations and euphoria. Some common discomforts found while using the drug are dry mouth, bloodshot eyes, swollen eyelids, loss of coordination as well as an accelerated heart rate.